Looking Back at the ODBD August Release! I don't know about you, but it seems I am always in need of a Get Well card. The August Release from Our Daily Bread Designs has helped me get a little stash started so I won't have to scramble at the last minute. And this card is masculine! I never do well making those masculine cards! So, yay for me! haha! 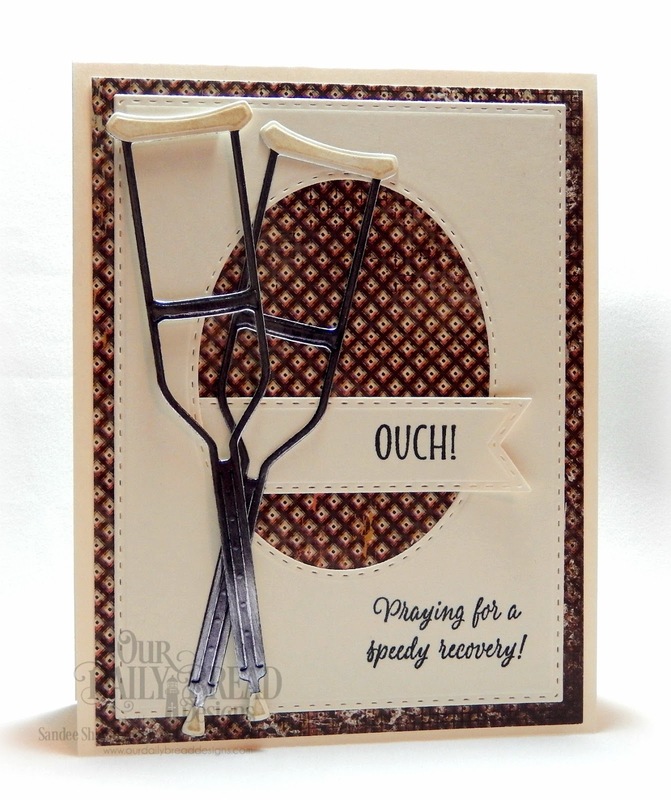 I used Get Well Wishes, Crutch, Double Stitched Rectangles, Double Stitched Ovals, Double Stitched Pennant Flags and Vagabond Treasures paper from our sister company Artistic Outpost. 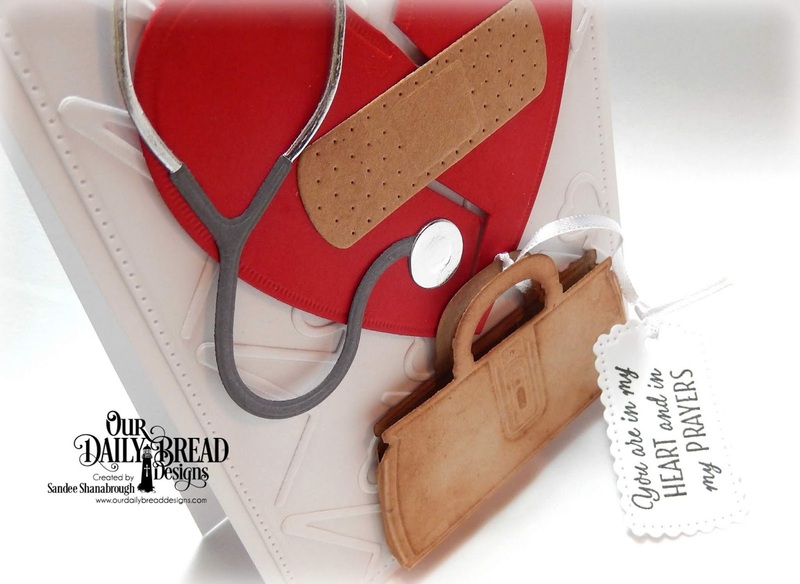 August New Release from Our Daily Bread Designs! 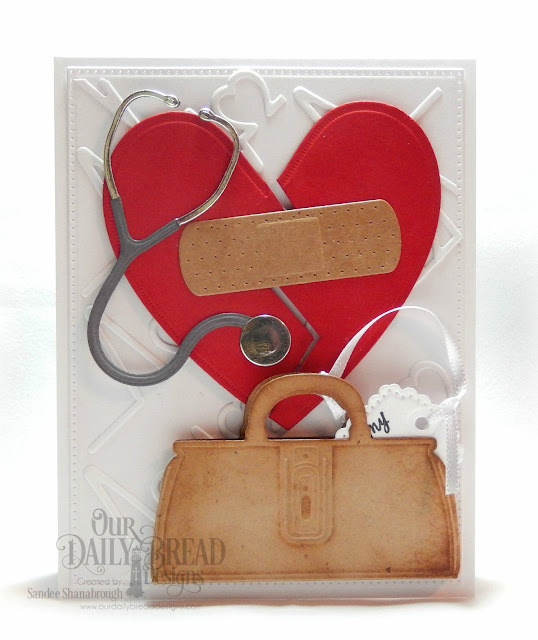 My first card features the new set called King of my Heart Stamp Die/Duo. 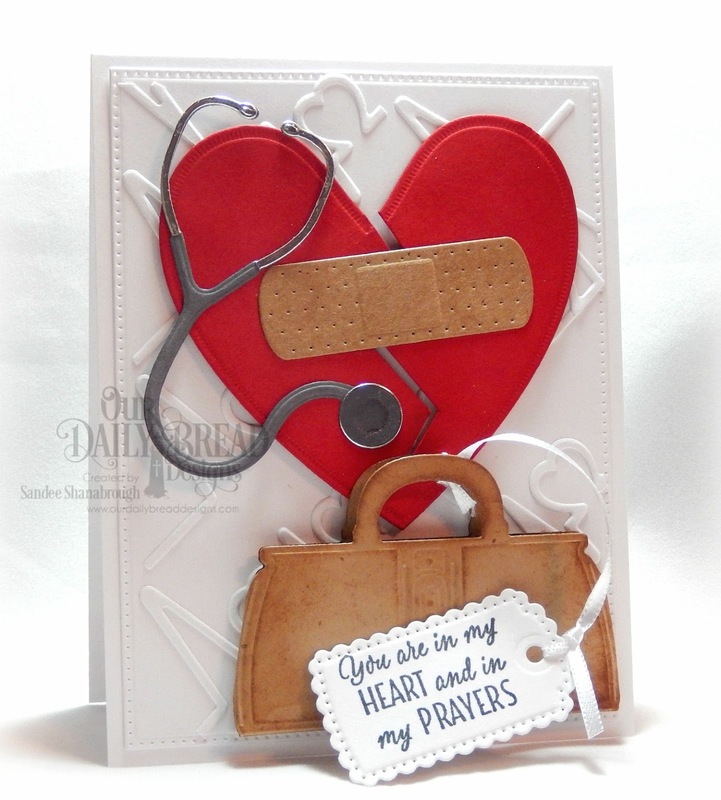 I used the heartbeat die from the set to create the background along with a Pierced Rectangle. I cut the Ornate Heart out and then just cut it in half in a zigzag fashion. Then I added one of the Bandages over the heart. The Stethoscope was cut out twice, in gray and silver, and then assembled to create a bit more realistic one. The Doctor Bag was cut out twice, sponged to give it a leathery appearance, and then glued together to create a little pocket. I stamped the sentiment onto a tag from A Gift for You and attached it the bag handle with white ribbon. The tag tucks inside the doctor bag nicely. I am probably one of the very few people who love going to have my teeth cleaned! I know, I know! haha! This new set called Happy Smiles Stamp Die/Duo is perfect! 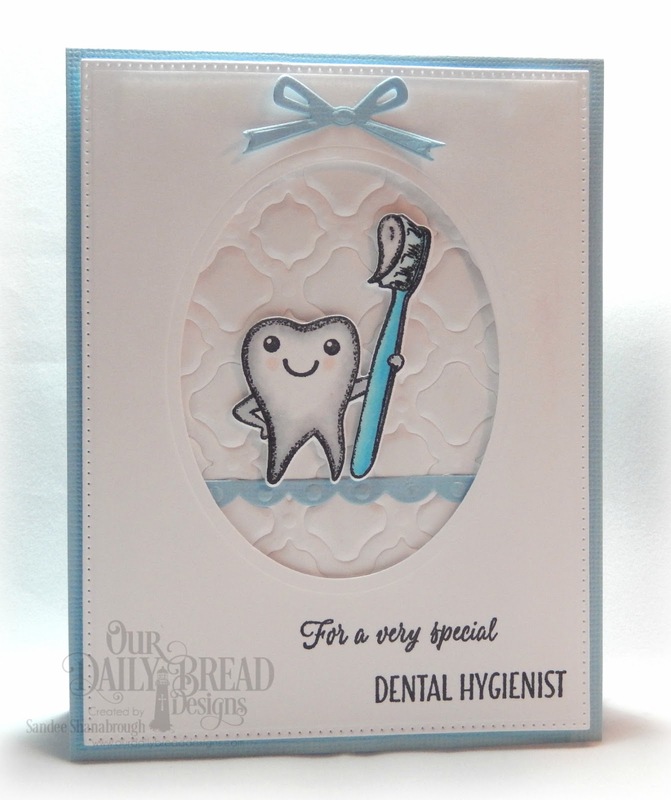 Lots of ways to honor anyone in the dental field! I kept this one clean and simple. I created a frame with Pierced Rectangles and Ovals. I added a background behind the frame with a piece that was embossed with the Boho Background die. I colored the cute little tooth image with copics and cut it out with the matching die. He is perched on a ledge cut with a Bitty Border. I added the little bow from Circle Ornaments to complete the card! For more inspiration using the August Release, head over to the ODBD Blog!